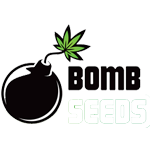 Bomb Seeds - Medi Bomb 2. Free US delivery. Medi Bomb #2 is a sativa-dominant medical cross of a hand selected Super Silver Haze with Bomb #2, producing clear psychoactive effects without tiredness or lethargy. Medi Bomb #2?s high is crystal clear thanks to very high levels of THC and very low CBD. This strain grows well indoors or out, producing huge yields of spicy tasting crystalline buds.